The reason Dial M for Murder is so effective is because if it’s simplicity. It isn’t a huge, complicated and overly stylised movie. It predominantly takes place in one room and really only concerns five key characters. However from the beginning the audience is gripped and the twists and turns become compelling viewing. As with any Alfred Hitchcock movie, the plot is quite simple but the execution complex. A man believes he has plotted and planned the perfect murder of his wife (played by Grace Kelly) but during the attempt events begin to spiral out of control and the husband is now forced to react and respond in an attempt to get away with it. It is a standard plot but one with many variations and possibilities that Hitchcock takes advantage of. This is because there is no “fat on the bones” of the movie. It doesn’t try to do too much more than it needs to. The pace is quick but easy to follow and for each revelation and moment of surprise, the clues are there. It is a well-written movie, which although it relies on a lot of exposition style dialogue, particularly in the set-up of the plot, never drags or feels bloated. Not that the film is shallow. Dial M for Murder is a complex mystery. 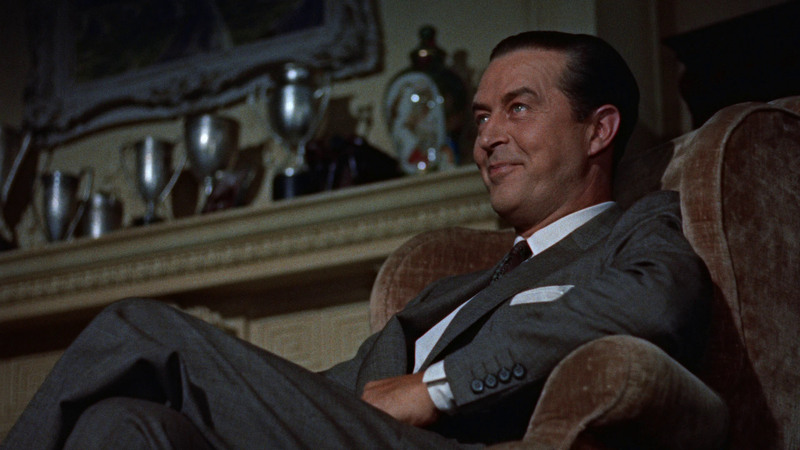 It has many different angles and the way that husband Tony Wendice, played by Ray Milland, stays ahead of the detectives and his wife, will leave you wondering how he will achieve success, as well as maybe guiltily hoping he does. This is part of why the movie is a success. Hitchcock is great at developing anti-heroes and the suspense he builds in key moments demonstrates why he is considered a master. Often a scene will depend on a door opening, a word being said or a box being opened and in that simplicity comes some of the more tense parts of the film. Not that the film is without action. The key set-piece is a brutal one, with the attempted murder being staged quite realistically. It is only a small part of the film’s success and it is difficult to say much more as the movie is best experienced with little to no knowledge. Overall, Dial M for Murder is a perfect example of the tension and suspense that Hitchcock became known for. It has an intricate plot which twists and turns quickly but clearly, as to keep the audience guessing but never losing them. It may play with your morals slightly too. Good movie and good review!